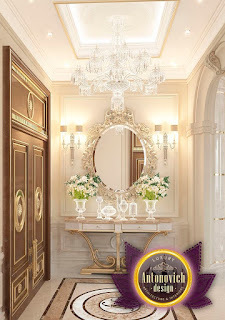 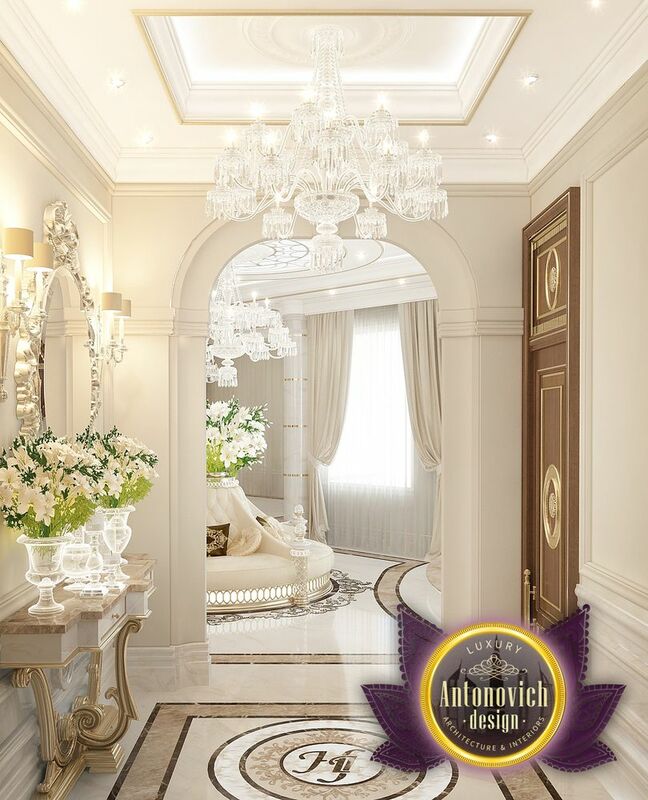 The interiors in classical style - it is the best way to emphasize respectability and gentility of the house. And the main entrance is always important. 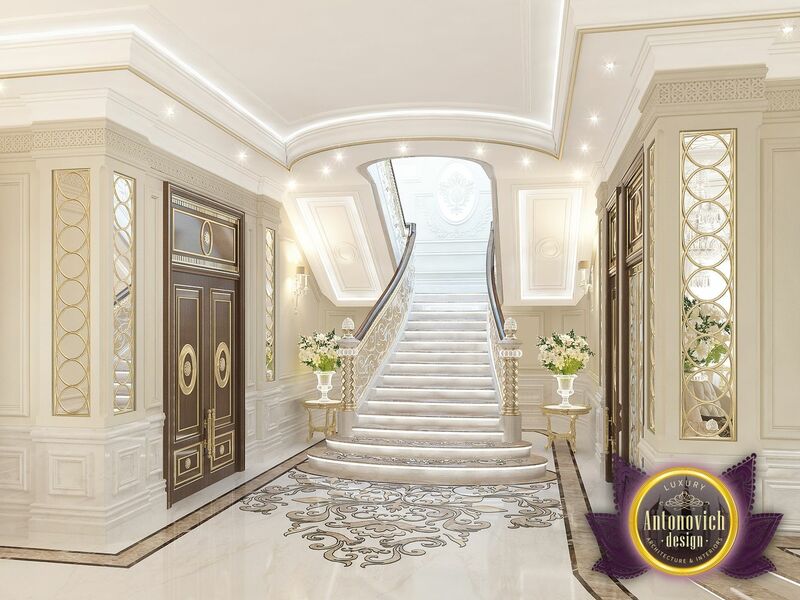 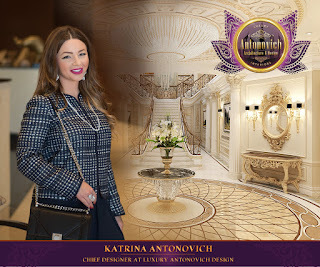 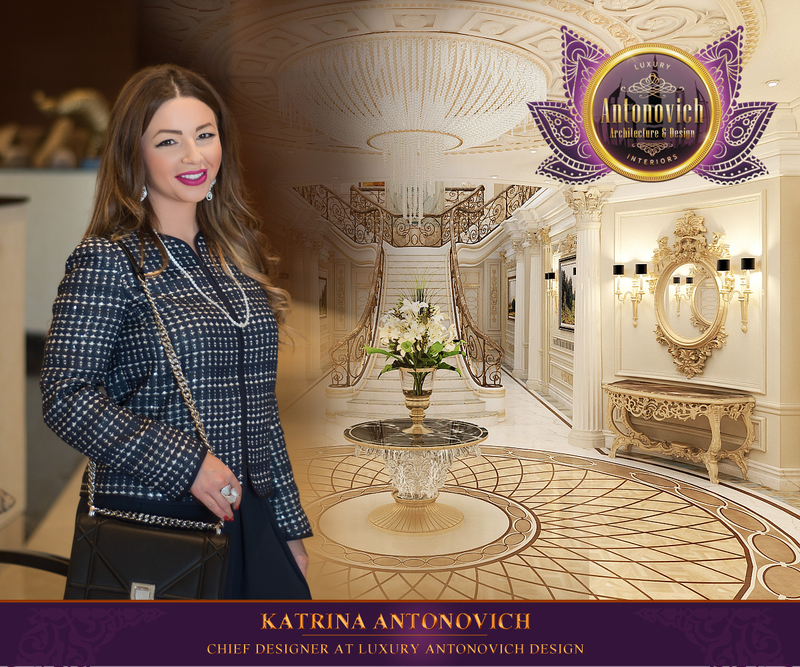 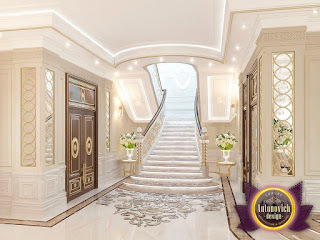 Designers studio Luxury Antonovich Design creates interiors that from the first moments of your stay in the house give pleasure with their beauty. 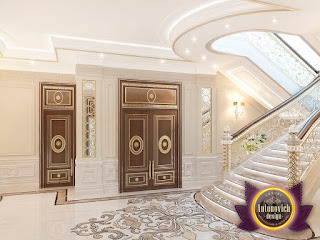 And this hall creates the right first impression of the house. 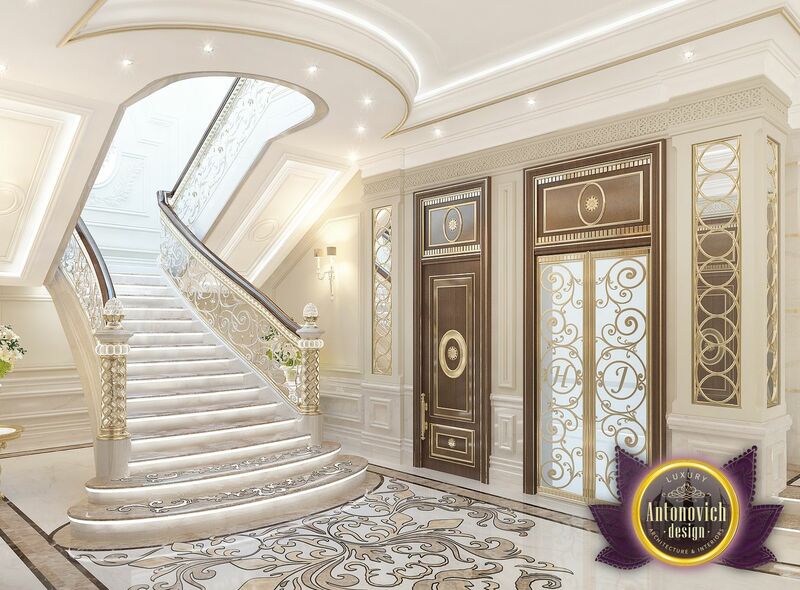 The main decoration of the interior was the marble staircase. Each rung of the ladder is lit and decorated with carved patterns. 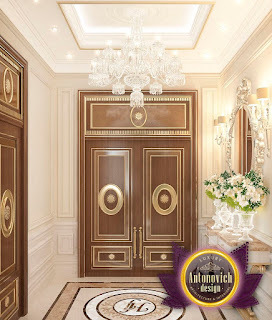 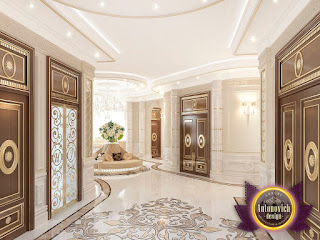 Laconic ceiling decor highlights the more elegant design of floors and walls. 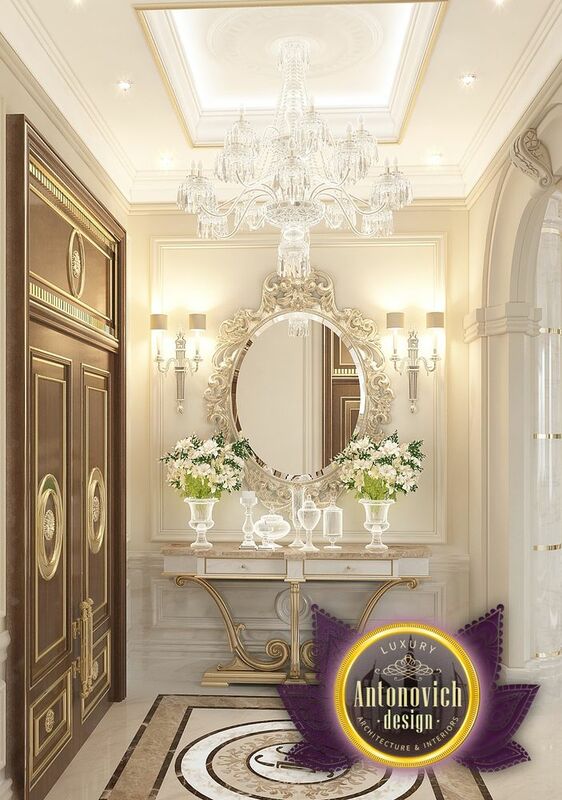 Elegant classic style has a particularly solemn and festive nature in this project.